Tell all your friends you&apos;re not just interested in her for her looks-- new benchmark tests released today render the idea that the MacBook Air sacrifices performance for appearance dead and buried. According to a battery of tests performed by Laptop Mag, the new 13-inch MacBook Air, which was released yesterday, is significantly faster than the fastest MacBook Pro of just last year. The Airs are more than twice as fast as their previous models and boot up from being completely turned off in just 17 seconds for the 13-inch model, and 19 seconds for the 11-inch. The larger air has a battery life of 6.25 hours, while the smaller lasts for 4.75 hours. 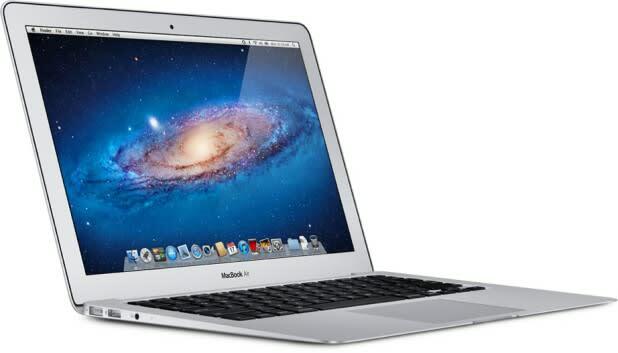 Beginning with its 2010 refresh, the MacBook Air has been a big hit for apple and now represents its baseline notebook after the standard MacBook was retired yesterday. The MBAs don&apos;t have all the muscle of the Pro line, but get super fast performance from their custom sold state hard drives.